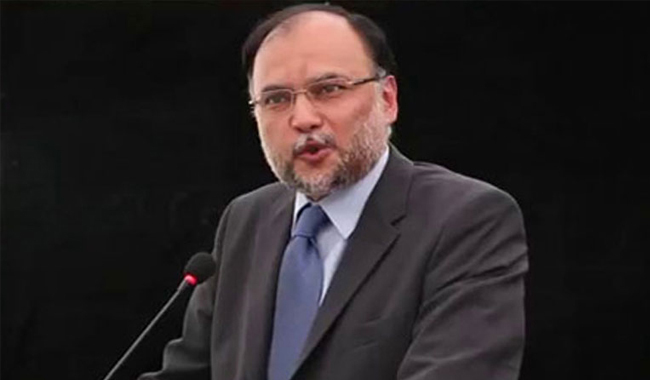 ISLAMABAD: Interior Minister Ahsan Iqbal said on Wednesday that the NAB’s request to place name of former finance minister Ishaq Dar on the exit control list (ECL) is being reviewed. Speaking to media, the interior minister said that the opposition was a bunch of people having no ideology. He said that the country’s politics had been divided between pro- and anti-PML-N groups. The PML-N leader said that the hidden agenda lies behind the sit-ins are to pave way for the caretaker government on a long-term basis in the country. If such a government is formed even with the permission of the Supreme Court it would damage the repute of the coming general elections. Speaking about the recent rise in dollar rate, Iqbal said that it was nothing to worry.